There are three rather different events at the top of this week in live music. The first comes on Thursday when saxophonist Ben Wendel brings his Seasons Band to Dazzle, 1512 Curtis, just after a dose of the winter season hit town. Wendel built up a strong reputation as a member of the genre-jumping band Kneebody and the group he has in tow is outstanding across the board. There’s pianist Aaron Parks (who was recently at the Boulder Theater as part of saxophonist Joshua Redman’s quartet), guitarist Gilad Hekselman (one of the many Israeli players who has joined the first tier of jazz players here in the USA), bassist Matt Brewer and drummer Eric Harland. The band’s name is drawn from the 12 piano pieces written by Tchaikovsky titled “The Seasons” and is indeed a gathering of top-notch players who are on stage at 6:30 and 9 p.m. on Thursday (303-839-5100). Then on Friday and Saturday, the city celebrates one of its iconic sons, Neal Cassady, with the 10th annual Neal Cassady Birthday Bash. Cassady, who died in 1968, was an important element in the “beat generation” beyond being a character in Jack Kerouac’s On the Road. And had he lived, he would have turned 93 on Friday. The Friday portion of the celebration is at the Mercury Café, 2199 California, with multi-instrumentalist David Amram’s quartet turning its ear to the beats aided by Jello Biafra starting at 8 p.m. (303-294-9258). On Saturday the celebration continues at the Alamo Drafthouse, 4255 W. Colfax with free panels at 4:30 p.m. (featuring Heather Dalton, the director of the documentary Neal Cassady the Denver Years) and 5:15 p.m. (featuring Amram, Biafra and Mark Bliesener ). The panels lead up to a showing at Dalton’s documentary at 7 p.m. (720-577-4720). Also on Friday, jazz guitarist Nels Cline, known in the pop world as a member of the band Wilco, brings his quartet to Ophelia’s Electric Soapbox, 1215 20th St., at 9 p.m. (303-993-8023). Cline is a strong player and his regular quartet includes fellow guitarist Julian Lage, drummer Tom Rainey and bassist Scott Colley (with bassist Chris Lightcap often found in Cline’s company). Ophelia, in case you forgot, is a character from Shakespeare’s Hamlet. Returning to Dazzle, the club has trumpeter/singer Dean Simms doing the Satchmo Show on Friday at 7 p.m., pianist Purnell Steen and his band offering a Five Corners Ebony Serenade on Saturday at 6:30 p.m., G.A.M.E. 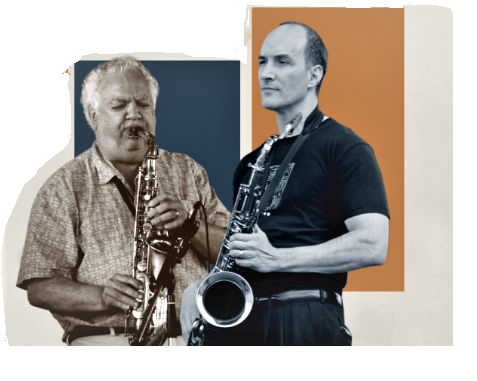 Jazz on Tuesday at 7 p.m. and saxophonists Rich Chiaraluce and Keith Oxman doing a hard-driving, quintet tribute to Sonny Stitt and Gene Ammons at 7 p.m. Speaking of Oxman, the saxophonist has a new CD out on Capri Records that features fellow saxophonist David Liebman titled Glimpses. Dazzle also has trumpeter Greg Gisbert, who lives here when not traveling the world, doing its Thursday night 10:30 p.m. session with bassist Jean-Luc Davis and others. Gisbert is also doing the 11 p.m. duo session at Nocturne, 1330 27th St., on Friday (303-295-3333). Some other items at Nocturne include pianist Carmen Sandim and her septet (that includes New York saxophonist Bruce Williamson) on Thursday starting at 6:30 p.m., “The Soul” with the Andre Mali Quartet on Saturday, Jeff Jenkins’ tribute to the “The Iconic Piano Trios” on Tuesday starting at 6:30 p.m. and pianist Dave Hanson doing Bob Dylan music on Wednesday also starting at 6:30 p.m. Sandim and her septet are also playing a pre-CD-release party at Caffé Sole, 637R S. Broadway in Boulder, on Saturday at 7 p.m. (303-499-2985). Every Sunday night the Brad Goode led jam session continues at the Muse Performance Space in Lafayette which also present live jazz during the week. Coming up on Saturday February 16th at the Muse will be the Paul Zaborac Quartet. On a final note: the Gift of Jazz “Blind Tiger” series is ready to go on February 17 with a “Tribute to Art Blakey” from drummer Brian Claxton’s quintet at the Colorado Auto Dealers Association building. For reservations, check in at giftofjazz.org.